A letter from Rev. 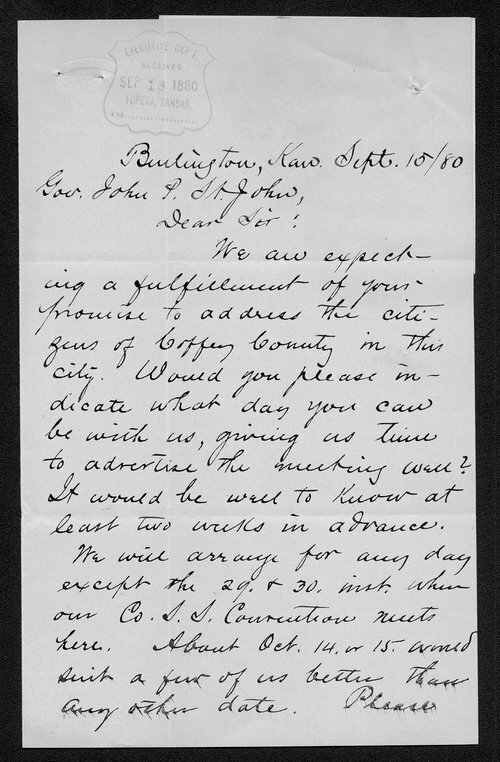 Ralston inquiring as to when Kansas Governor St. John plans to visit and address the citizens of Coffee County, which the Governor previously agreed to do. He also discusses the voting results at a recent county convention.